The Environmental Protection Agency has released draft recommendations for industrial chemicals known as PFAS. The EPA says the guidance will inform final cleanup levels for groundwater used as drinking water. Five years ago, the city of Flint switched its water to the Flint River. Citizens soon complained of dirty, foul-smelling water. Doctors found evidence of high lead levels in children. Outside researchers proved the city’s water (because of a lack of corrosion control) was corroding pipes, bacteria levels skyrocketed, and thousands of people were without clean water. That began five years ago. Now, many people still say that Flint, Michigan doesn’t have clean water. The problem is, those claims are misleading. Some cities in Michigan are putting together climate change action plans. Part of that is making everything more energy efficient in order to reduce the greenhouse gas emissions that contribute to climate change. One of the big concerns is making sure low-income households are not left behind. A Michigan lawmaker is urging swift action to combat climate change. U.S. Senator Gary Peters hosted an Earth Day field summit in Lansing Monday. Peters says the impacts of climate change are not a problem for future generations to tackle. “They are significant, they are costly and they are already being felt here in Michigan,” Peters said. Peters says the Midwest is particularly vulnerable to the challenges posed by climate change. Across the state Michiganders are taking part in projects to mark Earth Day, and not all of them are taking place far away from the state’s urban centers. In Saginaw, dozens of volunteers are spending the day cleaning up vacant lots. It’s part of a larger program to put in plants that attract pollinating insects and wildlife across the city. Zachary Branigan is the executive director of the Saginaw Basin Land Conservancy. He says there’s a wildlife corridor that goes right through the city of Saginaw and Bay City, up and down the Saginaw Valley. Oscoda residents will meet with high ranking U.S. Air Force officials this week to discuss the cleanup of PFAS contamination at the former Wurtsmith Air Force base. Assistant Secretary of the Air Force for Installations, Environment and Energy, John Henderson, will hold a public forum in Oscoda next Wednesday, April 24 at 4 p.m. at the Oscoda Township Community Center. More than four million people crossed the Straits of Mackinac last year. But they are also one of the busiest migration spots for raptors, or birds of prey, in the United States. Environmental advocacy group Center for Biological Diversity has sued the Trump administration and the U.S. Interior Secretary for not making protection decisions for wildlife. Three of the 24 species the lawsuit cites are native to Michigan. The yellow-banded bumblebee, purple lilliput, and round hickorynut are native to Michigan. The group says these species are not currently protected by the Endangered Species Act. Mike Shriberg's conversation with Stateside on April 17, 2019. Governor Gretchen Whitmer is in talks with Enbridge about a proposed tunnel under the Straits of Mackinac for its Line 5 pipeline. That's according to the Detroit News. Two Michigan lawmakers are pushing for a hunting season for sandhill cranes. Last week, House Resolution 61 and Senate Resolution 30 were introduced by Rep. Jim Lower (R-Cedar Lake), and Sen. Dale Zorn (R-Ida). Lower introduced a similar resolution (HR 154) in 2017. The resolutions call on Michigan's Natural Resources Commission to add sandhill cranes to the game species list. And they urge the commission to seek the required approval from the U.S. Fish and Wildlife Service to establish a hunting season for the birds. The Presque Isle Power Plant in Marquette is now closed. 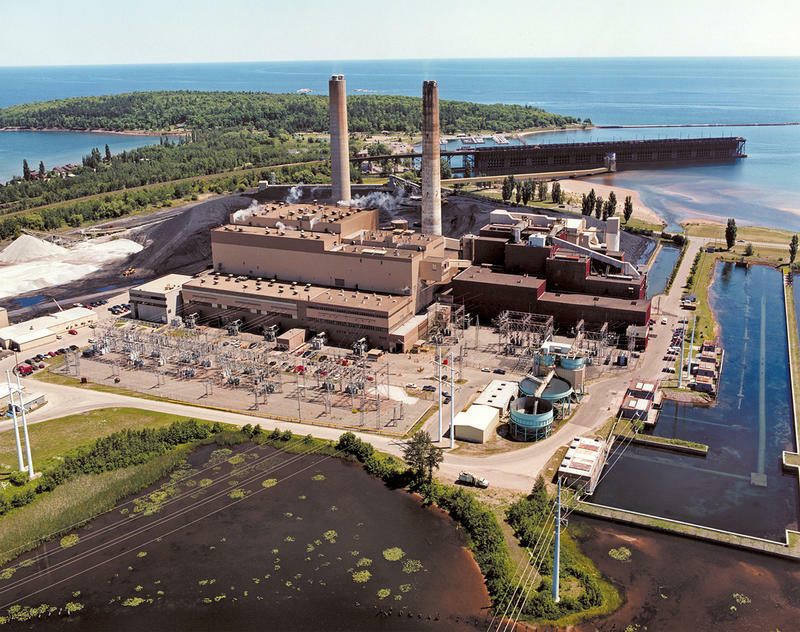 The plant had been the biggest producer of coal-fired energy for the Upper Peninsula. Lake Erie could become home to an offshore wind farm in the next few years. The proposed Icebreaker Wind project is a six-turbine wind farm that could be built off the coast of Cleveland. Dave Karpinski is with the Lake Erie Energy Development Corporation. “For the Cleveland area, it's a chance to be a leader in this new emerging industry in the US,” he said. Karpinski says the wind farm would create clean energy and jobs with little impact to residents and the environment. A Lansing zoo confirms its critically endangered black rhino is pregnant. Potter Park Zoo officials say it took almost a year to get the female rhino pregnant. The rhino's name is Doppsee. While it is too early to see a fetus, lab test show she is expecting. According to the International Union for Conservation of Nature and Natural Resources (IUCN) there are only 5,000 black rhinos remaining in the wild and only about 60 at zoos in the United States. The Michigan Department of Natural Resources is starting spring work on maintaining the state’s fish population. The DNR says it expects to collect about 30 million eggs from walleye in the Muskegon River in the coming weeks. The state also collects eggs from steelhead on the Little Manistee River. The Humane Society of the United States is pushing for the release of three dozen beagles it says are being force-fed fungicides in a West Michigan laboratory. Federal lawmakers, two from Michigan and two from Illinois, have introduced bills that would require the federal government to address concerns about petroleum coke exposure. Petroleum coke is a byproduct of refining crude oil. The legislation calls for federal agencies to complete a study of the health and environmental risks posed by petroleum coke. It also would require the implementation of federal safety regulations for the storage and transportation of petroleum coke. The standards would be based on the study's findings. The Michigan-based water law non-profit “For Love of Water,” or "FLOW," filed an amicus brief this week in support of a lawsuit against the Wisconsin Department of Natural Resources. Last April, the WDNR approved the City of Racine's request to withdraw an annual average of 7 million gallons of Lake Michigan water per day and send it to their customers in another community, Mount Pleasant.